Getting cold eh .. Surely won’t mind a toast right .. 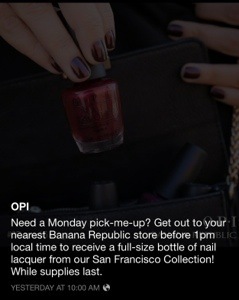 I grabbed an Opi off the Sephora Saloon Sale Rack, just cost me $1.49 !! ( cha-Ching) .. 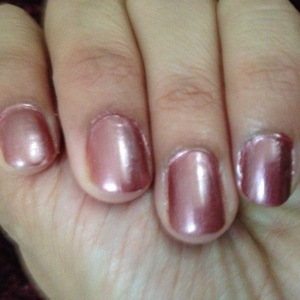 This is a beautiful frost pink-brown polish. 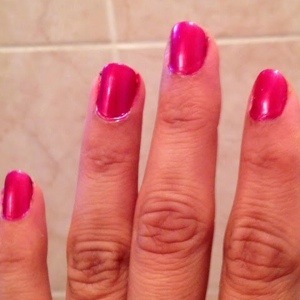 It applies beautifully , although single coat was descent, two coats were needed for proper color result. I used no top coats, the finish was a nice and surely a bargain.I took these two indoors. yikes! That’s right, all sheet prints and crumbled up , although I did wait almost ten mins after the application to get in the bed , I had hoped it would have dried, well so it seemed .. 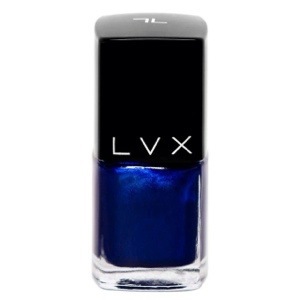 So now I am walking around with a nice polishes left hand and a bad crumbled “toddlers nail Polish project ” right hand ..
LVX .. The essence of all colors ..
A while back but didn’t quite find anything much to my fancy. The website is a part of the Nordstrom Stores which sells high end fashion brands for a discount. As a first time customer, I got $25 off on spending $50.. Hmm .. Not bad right .. They retail for about $16 for 15ml/ .5oz. Quite pricey for a pop might I say , but I got a good deal .. $7 per bottle .. And that’s not bad right .. I have ordered 4 bottles to try .. The colors were pretty interesting , although nothing like what I haven’t seen before, but surely not too common to miss .. The colors look pretty good and interesting. 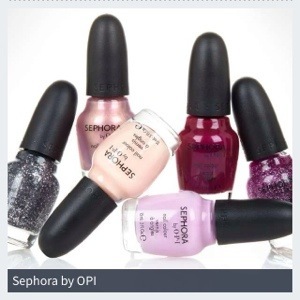 The polishes are( from the company page).. So my hopes are high, will keep you all posted. 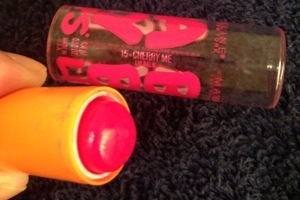 I have read quite a lot about the Maybelline Baby Lips, so I grabbed one to try. Plus who can ever have too many lip balms, right? The one I purchased is Cherry Me. The application was smooth and it does taste nice. It doesn’t feel sticky unlike quite a few other balms and it surely does leave a nice tint. The feel is nice and smooth and lips do feel nice and hydrated as long as it stays , which unfortunately is something not very pleasing. 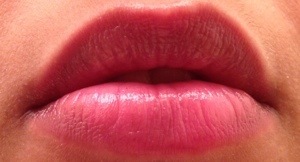 It comes off within almost an hour of application. 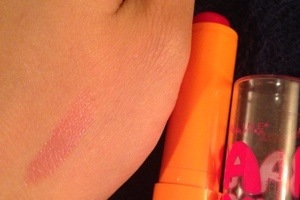 I used it directly on the lips, but it does stay a little longer if I use it as a base under lipsticks. Definitely NOT 8 hrs ..! It cost me $2.99 at Target Stores and honestly I don’t regret it a bit. Give it a try and let me know if you liked it ..
so now i just want to start typing and enjoy the resultz .. fingers crossed !! 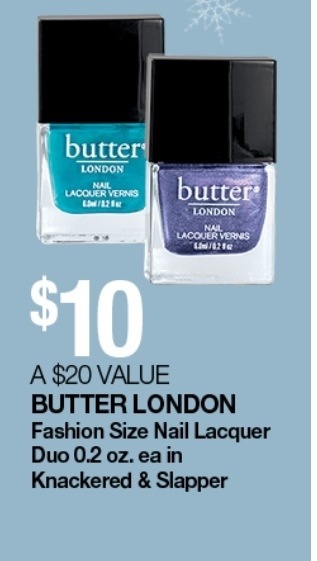 Well I am looking at these gift/ value sets online and there are a few that did catch my fancy from Opi and China Glaze .. Although I have never used a China Glaze Personally, I have admired quite a few pieces of swatches on them .. So maybe that’s my next item on the hit list .. Still juggling between holiday sets or individual picks.This week Ulta Stores are running a buy 2 , get 1 free for some real pretty polishes. Definitely a Do Not Miss ..!! Plus they have a $3.50 off any $10 purchase .. 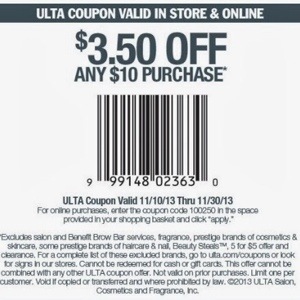 Valid till 11/30/2013.. Makes it a catch .. But since no one can stop at just 2-3 nail polishes , and many is never many .. Free standard shipping over $20 spent..Although it’s frustrating that I cannot find the zoya polishes on the Ulta Web Site even though it’s on their weekly ad .. Let me know your picks .. I finally grabbed my first Zoya polish at Ulta !! I was super excited about it but sadly the choices were limited. 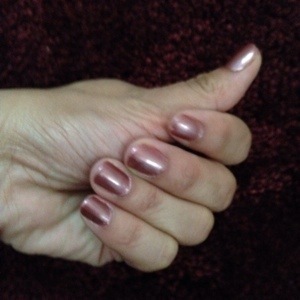 My final pick however was this georgeous baby pink nail paint in gold shimmer .. Something I have never owned .. 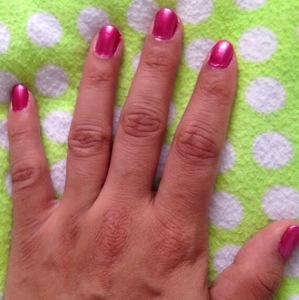 This beauty is “Erika” from the Summer 2008 “Chit-Chat” Collection. I needed three coats for perfection. The first two felt streaky. 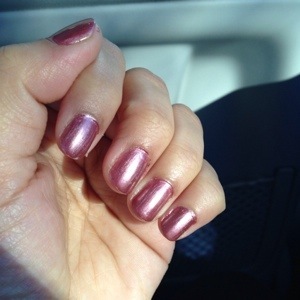 I agree its fall season, but I couldn’t resist this color and wore it for a day out at a friends place. The quality was superior and the chipping didn’t happen for over four days now , this is the first time I have come across a polish this long lasting .I applied no base/ top coats . It’s a must buy – must own ..Will love ..
With the days getting darker and cloudy it’s a challenge to pick a color that stands out but yet subtle. 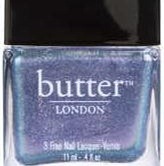 Its a frost finish , definitely Not a Creme as the name suggests. The color is best described a blend of purple-pink with more of a pink tone. 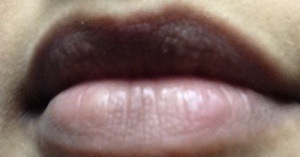 It is well pigmented and dries pretty well. I needed ony two coats to get a nice opaqueness and the color to really stand out. However the brush was super thin, I was going back and forth between each brush stroke for the paint. 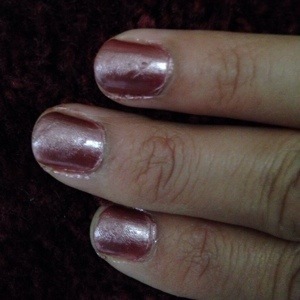 The finish is not streak free But the color lasts long and it’s really matchable to some opi shades … For the price , it’s surely worth trying.